Before last week’s historic committee votes to legalize marijuana in New Jersey, there was an alarming lack of discussion of what it would mean for workplace safety. Employers were worried, and with good reason. So NJBIA began an all-out effort to protect the rights of businesses owners to have a drug-free workplace. Led by Vice President for Government Affairs Michael Wallace, NJBIA set out to educate lawmakers on how neglecting workplace safety could undermine their goal of taking marijuana out of the shadows and regulating and taxing it. In the end, NJBIA’s efforts received a strong endorsement by the bills’ sponsors. Sen. Joseph Vitale, D-Middlesex, said he agreed NJBIA had a case. Federal law does not allow workers to take medication that may impair their ability to do their jobs, he said. “Their concern was, what options do businesses have if someone is using a medical marijuana and it impairs their ability to do their job? They raised an excellent point,” ‘ Vitale said. The bills were amended to include language that would preserve employers’ right to have drug-free workplace policies and the ability to enforce those policies. At the same time, NJBIA was continuing to lead the fight against raising New Jersey’s minimum wage to $15 an hour. Gov. Phil Murphy attempted to rally support for the measure, which so far has not received so much as a committee vote. At a press conference on Nov. 26, Murphy called on the Legislature to pass the bill before breaking for the holidays on Dec. 17. 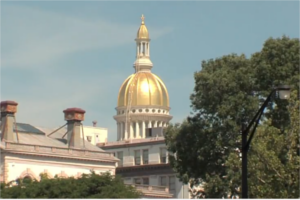 NJBIA responded with a strongly worded statement about the impact such a bill would have on small businesses. “Any responsible pathway to raising the minimum wage should take into consideration the impact on our small business owners, which drive our economy and support our communities,” NJBIA President and CEO Michele Siekerka said. “Many of our members have already told us any significant increase in the minimum wage will result in a reduction of staff, hours and/or benefits, or an increase in prices or automation. In late seventies had an employee, unbeknownst to us, indulge in a lunch break reefer, come back & put a tool through his hand. Employee was out of work 12 weeks, gave a hit to our workers comp rating, & then fought his firing. There’s no way to do a sure fire spontaneous cannabis test. This law is going to lead to more after lunch worker injuries & raise insurance & labor costs. Another political decision for tax revenue minus forethought to the negative dominos that will fall in its wake.